and you will be my witnesses . . .
Jesus Christ made this statement to his followers after his resurrection (on the third day after he was crucified), and right before he ascended to Heaven (see Acts 1:1-11), which ended his physical earthly ministry at that time. There are different kinds of gifts. But they are all given to believers by the same Spirit. There are different ways to serve. But they all come from the same Lord. There are different ways the Spirit works. But the same God is working in all these ways and in all people. 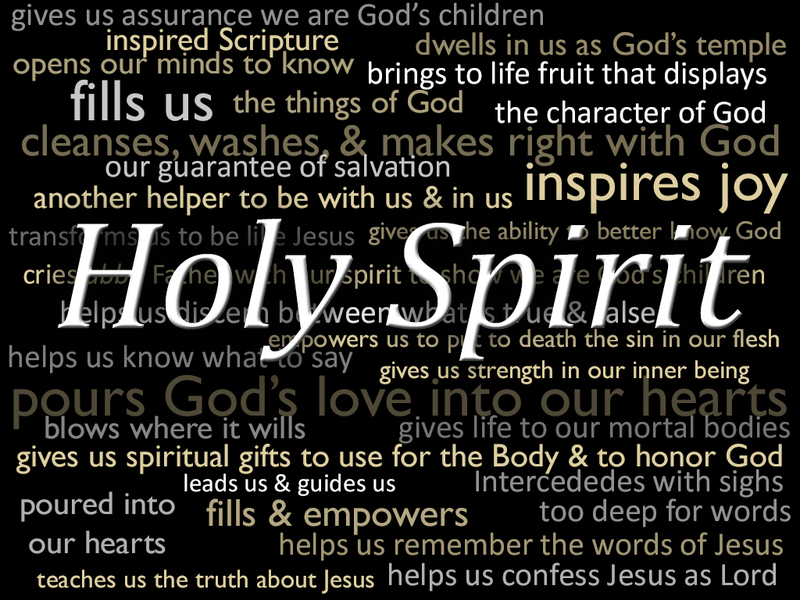 The Holy Spirit is given to each of us in a special way. That is for the good of all. To some people the Spirit gives a message of wisdom. To others the same Spirit gives a message of knowledge. To others the same Spirit gives faith. To others that one Spirit gives gifts of healing. To others he gives the power to do miracles. To others he gives the ability to prophesy. To others he gives the ability to tell the spirits apart. To others he gives the ability to speak in different kinds of languages they had not known before. And to still others he gives the ability to explain what was said in those languages. All the gifts are produced by one and the same Spirit. He gives gifts to each person, just as he decides. There is one body, but it has many parts. But all its many parts make up one body. It is the same with Christ. We were all baptized by one Holy Spirit. And so we are formed into one body. It didn’t matter whether we were Jews or Gentiles, slaves or free people. We were all given the same Spirit to drink. So the body is not made up of just one part. It has many parts. Suppose the foot says, “I am not a hand. So I don’t belong to the body.” By saying this, it cannot stop being part of the body. And suppose the ear says, “I am not an eye. So I don’t belong to the body.” By saying this, it cannot stop being part of the body. If the whole body were an eye, how could it hear? If the whole body were an ear, how could it smell? God has placed each part in the body just as he wanted it to be. If all the parts were the same, how could there be a body? As it is, there are many parts. But there is only one body. The eye can’t say to the hand, “I don’t need you!” The head can’t say to the feet, “I don’t need you!” In fact, it is just the opposite. The parts of the body that seem to be weaker are the ones we can’t do without. The parts that we think are less important we treat with special honor. The private parts aren’t shown. But they are treated with special care. The parts that can be shown don’t need special care. But God has put together all the parts of the body. And he has given more honor to the parts that didn’t have any. In that way, the parts of the body will not take sides. All of them will take care of one another. If one part suffers, every part suffers with it. If one part is honored, every part shares in its joy. You are the body of Christ. Each one of you is a part of it. First, God has placed apostles in the church. Second, he has placed prophets in the church. Third, he has placed teachers in the church. Then he has given to the church miracles and gifts of healing. He also has given the gift of helping others and the gift of guiding the church. God also has given the gift of speaking in different kinds of languages. Is everyone an apostle? Is everyone a prophet? Is everyone a teacher? Do all work miracles? Do all have gifts of healing? Do all speak in languages they had not known before? Do all explain what is said in those languages? But above all, you should want the more important gifts. But now I will show you the best way of all [which is love–the greatest gift of all–see I Corinthians 13]. Often, in our fast paced society, we (who are Christian) are often too busy making a living and trying to squeeze in everything that we can to stop and consider what the Holy Spirit would have us to do. If we acknowledge him at all, it might be in his giving us the abilities that we have to make a living and provide for our families, but if we read the list of “gifts” above, those gifts are not about us what we want to get from him in this life. No . . . those gifts are given to us to expand the Kingdom of God, not the kingdom of self on earth. Those gifts include wisdom, knowledge, faith, healing, miracles, prophesy, spiritual discernment, the gift of tongues (the ability to speak in unknown languages) and the interpretation of the same. When was the last time we gave any thought to these gifts of the Spirit as we rush through our days in an effort to secure our own place in this world, make a name and a place for ourselves, making more money, and acquiring more “stuff”? Our focus is often on us instead of God, and we need to shift our focus back to the One we claim to follow. In him [Jesus Christ] we were also chosen, having been predestined according to the plan of him who works out everything in conformity with the purpose of his will, in order that we, who were the first to put our hope in Christ, might be for the praise of his glory. And you also were included in Christ when you heard the message of truth, the gospel of your salvation. When you believed, you were marked in him with a seal, the promised Holy Spirit, who is a deposit guaranteeing our inheritance until the redemption of those who are God’s possession—to the praise of his glory. That is not to say that we can attain “sinless perfection” in this life. 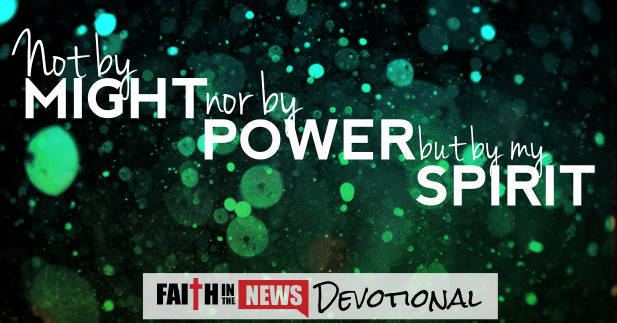 “The Bible teaches that, while we are in the flesh, we will always struggle with a sin nature (see Romans 7:14-25). No one will be “perfect” (sinless) until we reach heaven.” (Quote source here.) At it’s core it is about a heart attitude, and who it is we love and want to serve–self or God. I believe in the deeper Christian life and experience–oh yes! But I believe we are mistaken when we try to add the deeper life to an imperfect salvation, obtained imperfectly by an imperfect concept of the whole thing. Under the working of the Spirit of God through such men as Finney and Wesley, no one would dare to rise in a meeting and say, “I am a Christian,” if he had not surrendered his whole being to God and had taken Jesus Christ as his Lord. . . .
Today, we let them say they are saved no matter how imperfect and incomplete the transaction, with the provisio that the deeper Christian life can be tacked on at sometime in the future. he shall teach you all things. . . .
How shall we think of the Holy Spirit? The Bible and Christian theology agree to teach that He is a Person, endowed with every quality of personality, such as emotion, intellect and will. He knows, He wills, He loves; He feels affection, antipathy and compassion. He thinks, sees, hears and speaks and performs any act of which personality is capable. Love, joy, peace, forbearance, kindness, goodness . . .
Faithfulness, gentleness and self-control . . .
Against such things there is no law . . . .